AU $430,000	Need Finance? Need Insurance? Description: Fusion Catamarans 40 Encumbrance Check? Fusion 40 were designed by Gary Lidgard as a high performance cruising catamaran (Lucky One) with great live aboard capacity. 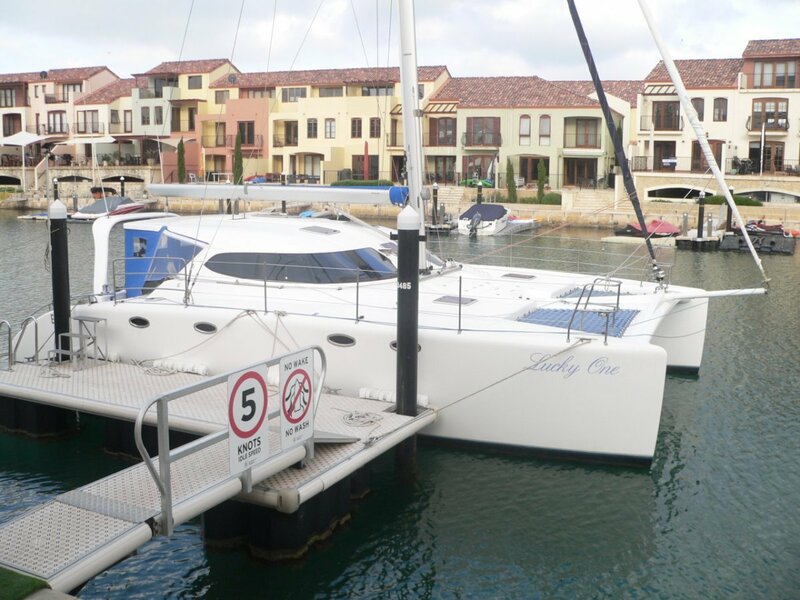 Lucky One is moored at the owners private jetty in Mandurah. 1 electric S/S Andersen Winch (52 ST E1). 1 Manual S/S Andersen Winch (50 ST 2S) 2 Hutton 40 to 1 winches. 12 volt dive compressor, plenty of mooring lines, fenders ect.